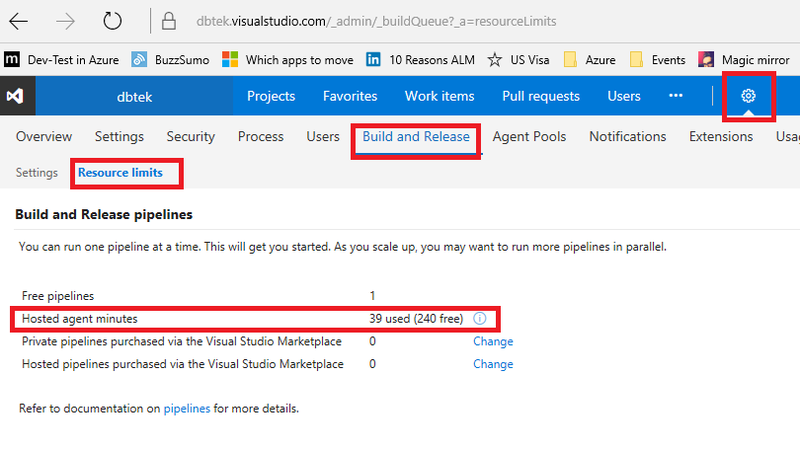 If you have activated the new Account Home Page on your Visual Studio Team Services, you should have noticed that the free build minutes counter is not anymore there. Not only: it is not present in the home page, nor in any other pages and sections. There is a new member in the BugGuardian family. After a while, two official extensions where released: BugGuardian.WebForms and BugGuardian.MVC. As the name states, they are targeting the ASP.NET WebForms and MVC respectively, making the adoption of BugGuardian even easier for who is using those platforms. But those 2 libraries have a limit: they only works with the traditional ASP.NET, running on the full .Net Framework. Today, I'm very happy to announce that the BugGuardian.AspNetCore extension is finally available. BugGuardian.AspNetCore is specifically written to support ASP.NET Core applications. It adds a Middleware to your application to let you automatically intercept all the exceptions. And the good thing is that it supports projects with ASP.NET Core using both .Net Full Framework and Net Core. This month we had not one, not two but even three feature release of Visual Studio Team Services! I had to choose between so many new features to have my top 3 list this month, so it means that they are the very best. Package Management now hosts NuGet and npm packages and helps you manage the lifecycle of your packages with new features like release views. 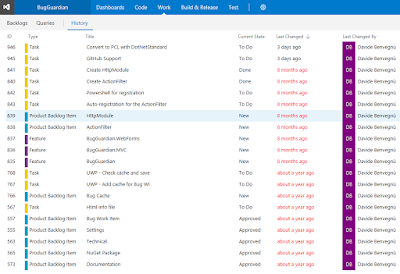 It continues to offer best-in-class support for the latest NuGet updates and great integration with Team Build. Packages enable you to share code across your organization: you can compose a large product, develop multiple products based on a common shared framework, or create and share reusable components and libraries. Package Management facilitates code sharing by hosting your packages, sharing them with the people you select, and making them easily accessible to Team Build and Release Management. 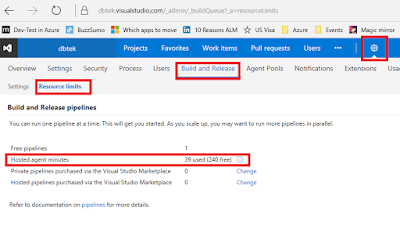 Release Management is also available in GA in VSTS and TFS 2017. Using Release Management, you can fully automate the delivery of your software all the way to production. It is an essential element of DevOps that helps your team continuously deliver software to your customers at a faster pace and with lower risk. To use Release Management, first create release definitions and then configure environments and specify automation steps in each environment to deploy the software and run tests against it. You can set up automatic deployment to the environments as soon as the build is available to deliver value continuously to your customers. You can also configure approvals on each environment. Similar to the files tab, users can now search for a file or folder in a repository and see the history of commits for that file or folder. For any Git repository, go to the path control box on the History tab and start typing to initiate a history search experience for the file or folder you are looking for. Microsoft Teams is a new chat-based workspace in Office365 that makes collaborating on software projects with Team Services a breeze. 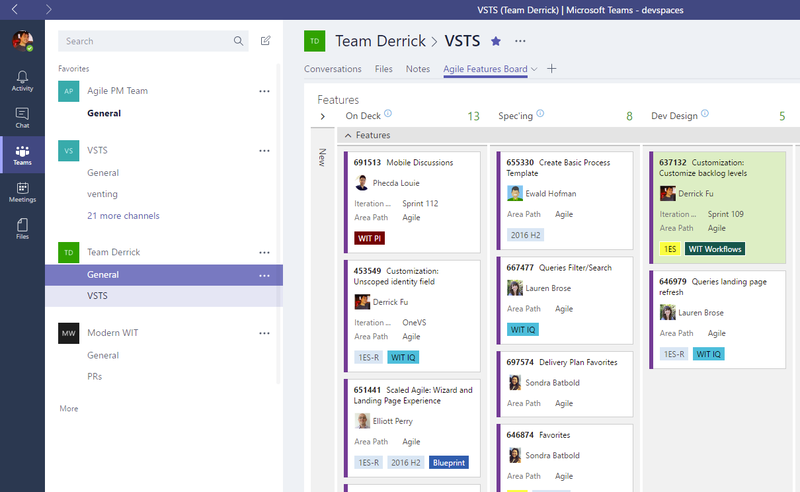 Team Services users can stay up to date with alerts for work items, pull requests, commits, and builds using the Connectors within Microsoft Teams. 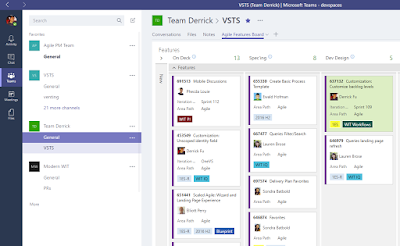 Starting November 9, users will also be able to bring their Kanban boards right into Microsoft Teams. 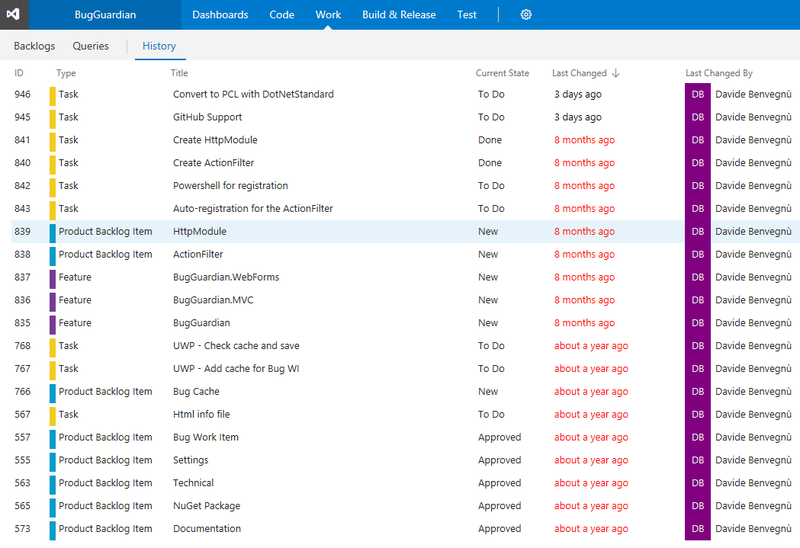 I'm very excited and proud to share with you the first version of my very first Extension for Visual Studio Team Services and Team Foundation Server: WorkItems History. 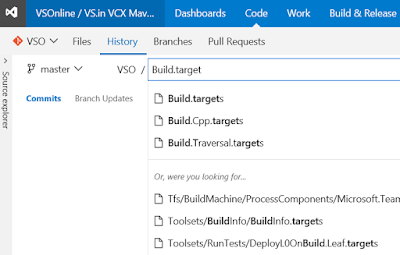 WorkItems History is an extension that adds a "History" hub to the Work section of VSTS/TFS and allows you to see the history of the added/modified work items. Working in a team is not always easy, especially when you need to have "things under control". With this extension, you can have a little more control of what is happening on your work. I decided to release this extension as Open Source Software. You can have a look at its GitHub page (https://github.com/n3wt0n/WorkItemsHistory) and, if you wish, you can contribute to the project. Please refer to Contribution guidelines and the Code of Conduct for more details. You can take a look at the GitHub repo to find more information on usage or installation of the extension. If you encounter any issue using this extension, please let me know through the Issues page on GitHub and I'll fix the problem as soon as possible! On Wednesday, November 16, 2016, Microsoft demonstrated at Connect(); 2016 its vision of enabling the future of development with solutions that serve any developer, any application and any platform. 1 million Visual Studio Code monthly active users (MAU). More than 25,000 developers from 1,700 companies have contributed to .NET Core and related open source repositories, with nearly 2/3 of the contributions coming from outside Microsoft. Half-a-million more Xamarin users since the acquisition, a 3x increase over the company’s previous growth rate. 20,000- registrations for the SQL Server on Linux private preview, including over 50% of the Fortune 500. 35% month over month growth of Microsoft Graph in past year. 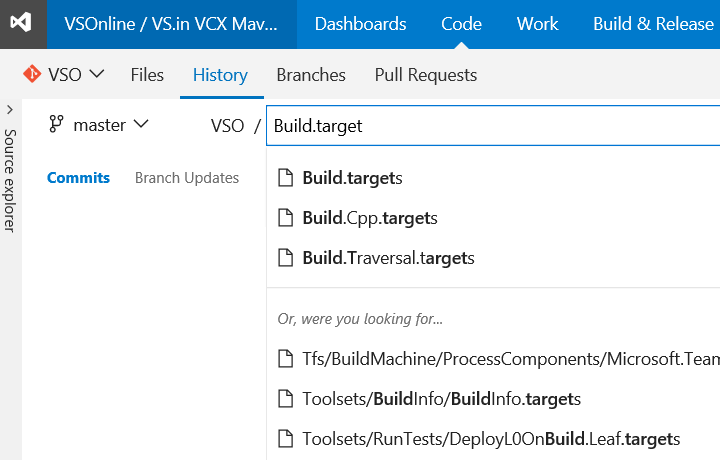 Brian Harry has written a very good blog post (read it here) with all the announcements about TFS and VSTS. Take a look at it! If you have find nice information on this blog, and if you want, please make a donation.